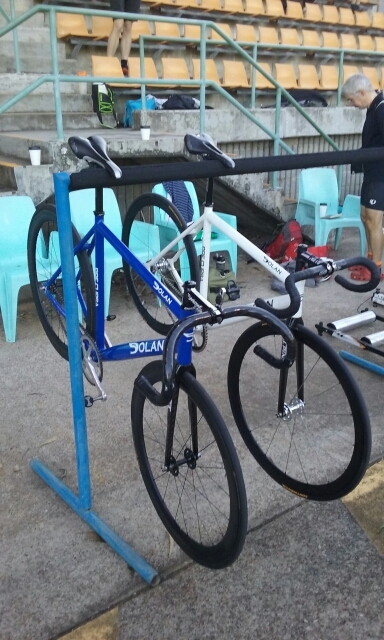 Two Dolan Pre Cursa track bikes just hanging around at the end of Round 1 of the Queensland Winter Track Series run by Ipswich Cycling Club. 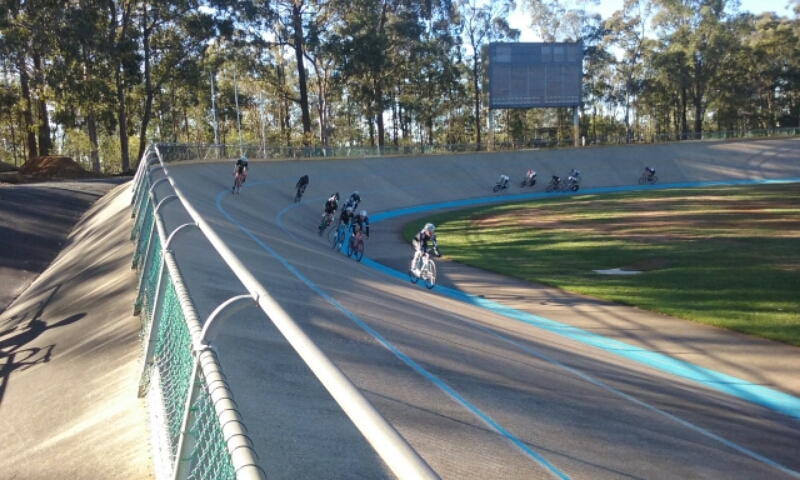 This entry was posted in Bicycles and tagged Chandler Velodrome, Dolan, Ipswich Cycling Club, Queensland Winter Track Series, Track, Velodrome on 25 June 2016 by Rex. 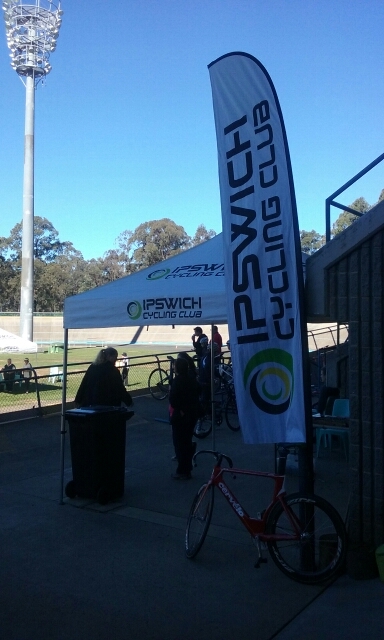 The following photos are from Round 1 of the Queensland Winter Track Series run by Ipswich Cycling Club. 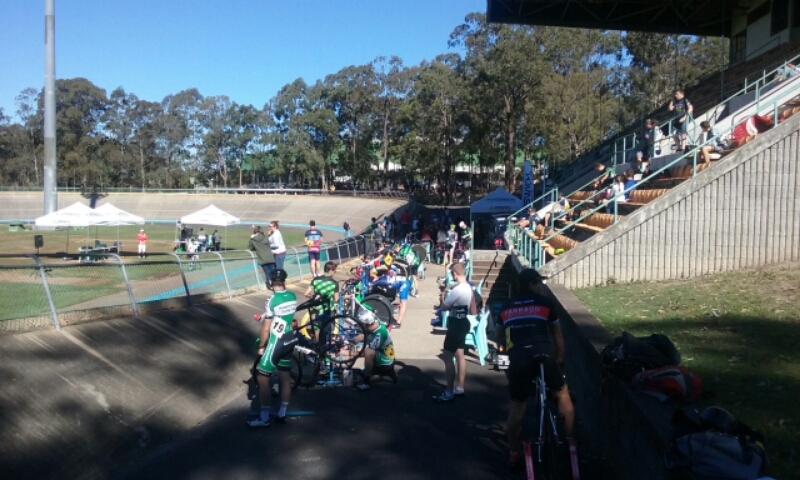 A great event and thanks to all the volunteers who contributed to making it a fun and safe day. 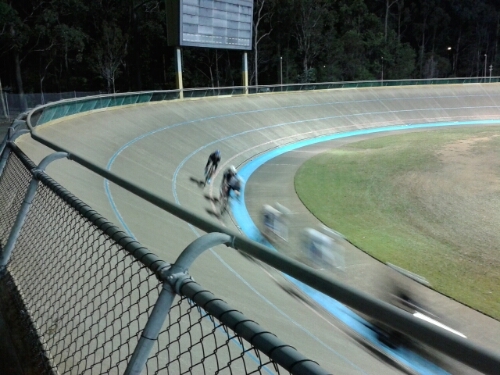 This entry was posted in Bicycles and tagged Chandler Velodrome, Fixed Gear, Fixie, Ipswich Cycling Club, Queensland Winter Track Series, Track, Velodrome on 25 June 2016 by Rex. 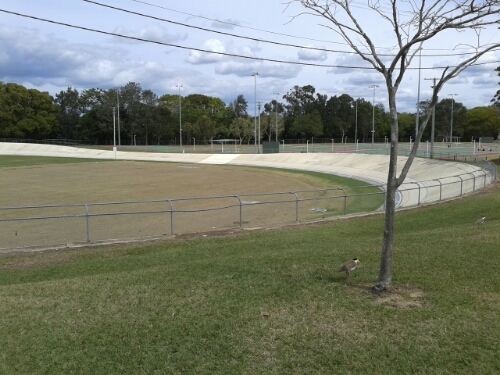 Caboolture Velodrome is located at the Centenary Lakes Sporting Complex (also known as Caboolture Sports Complex or Centenary Lakes Park). 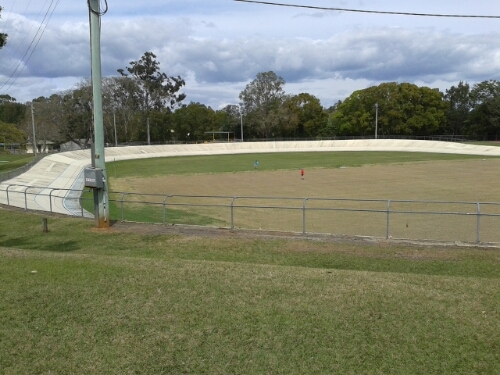 The sports complex is located on Morayfield Road, Caboolture. 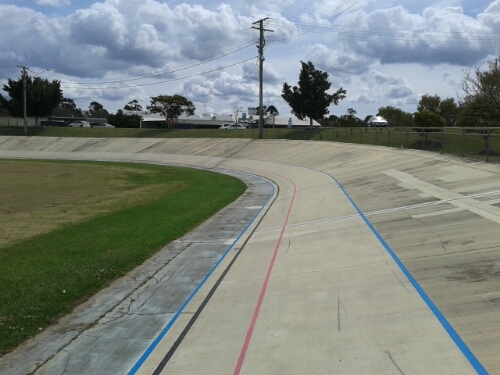 Caboolture Velodrome was opened by Des Frawley MP on 11 January 1975 after five years of work by the Caboolture Cycling Club. 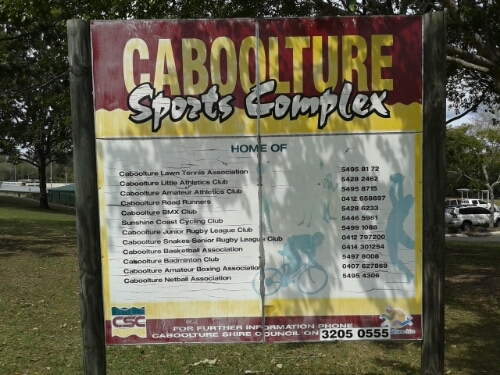 Caboolture Sports Complex is listed on the sign at the front of the complex as the home of the Sunshine Coast Cycling Club. 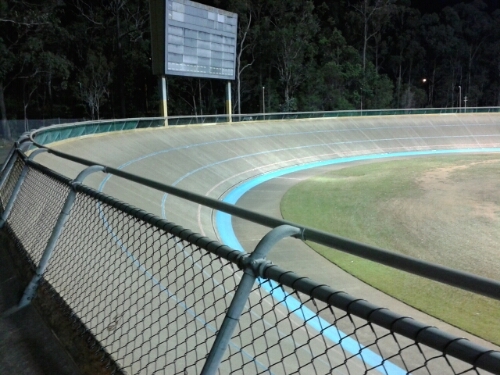 The Moreton Bay Cycling Club web site advises that they manage Caboolture Velodrome in accordance with the requirements of Moreton Bay Regional Council. 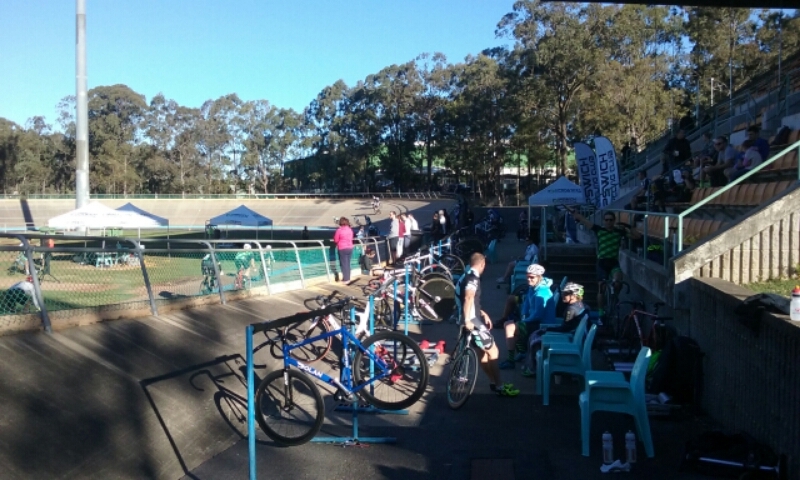 Wolves Bike Den (a bike shop in Caboolture) also appear to be regular track users. 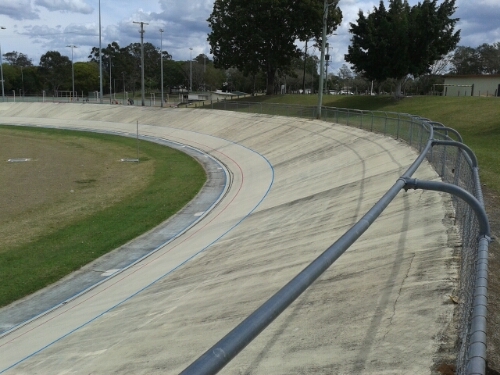 Caboolture Velodrome is an outdoor concrete track. 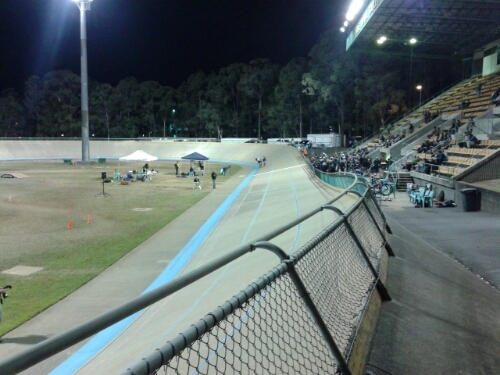 According to Wikipedia, Caboolture Velodrome is 350 metres in length, but it does not list a banking angle. 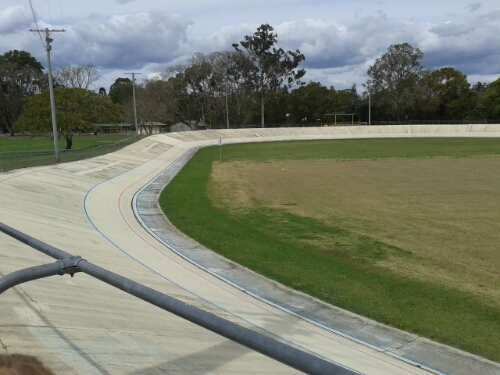 With no one using the track, I took the opportunity to measure the velodrome banking angle. 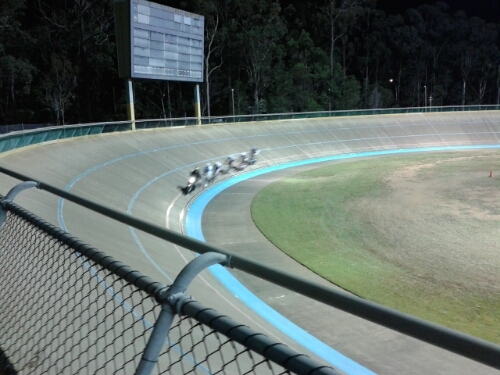 My phone angle metre app measured it as 9 degrees on the straight and 20 degrees on the banking. 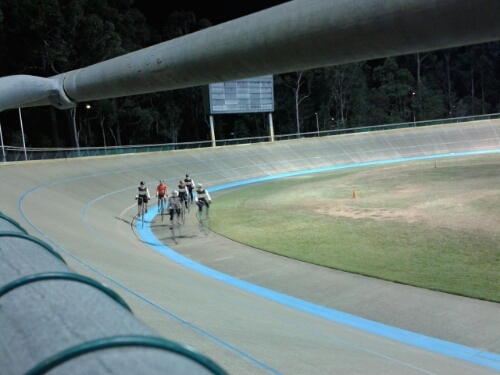 The measure was taken at the blue stayers line in the middle of the track at both locations. 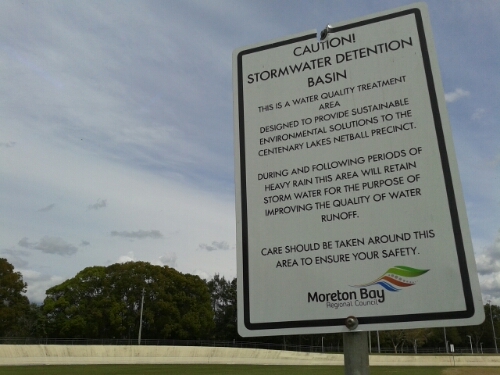 Caboolture Velodrome appears to be used as a stormwater detention basin during heavy rain. 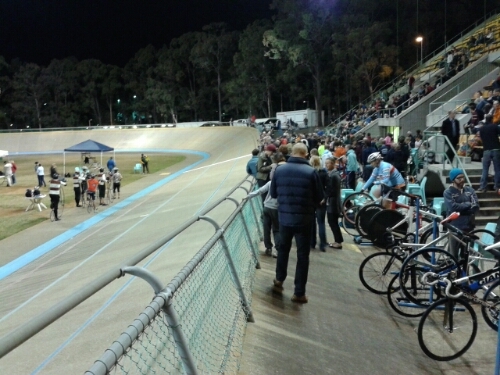 This entry was posted in Bicycles and tagged Caboolture Sports Complex, Caboolture Velodrome, Centenary Lakes Sporting Complex, Moreton Bay Cycling Club, Moreton Bay Regional Council, Sunshine Coast Cycling Club, Velodrome, Wolves Bike Den on 13 September 2014 by Rex. 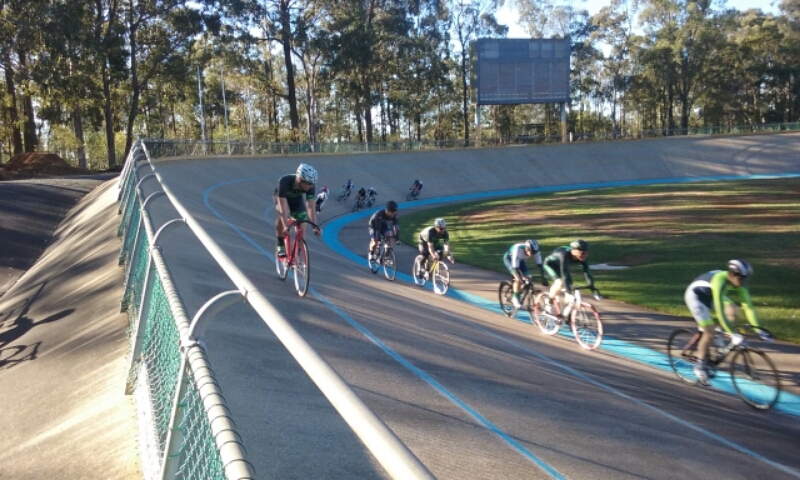 I hired a Chandler Velodrome 54 cm track bike through Cycling Queensland for the Sunday training session with Repsych Cycling Development last weekend. 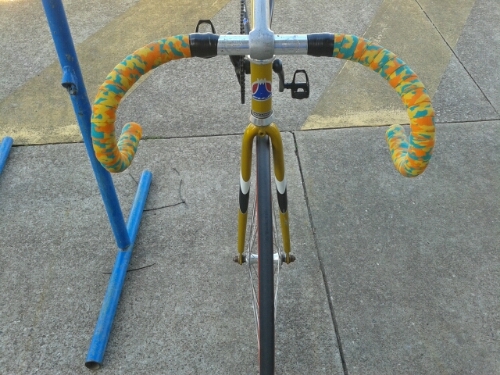 All my bikes are 56 cm frames. 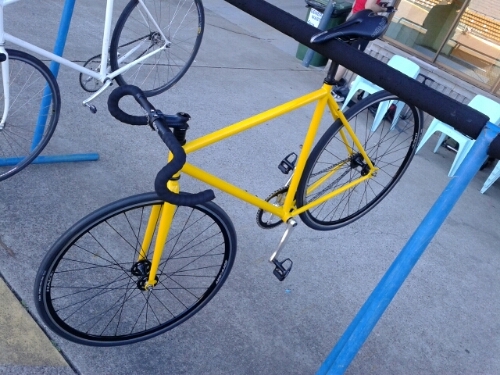 A while back, I had a bike fit done and they recommended a 55 cm frame. 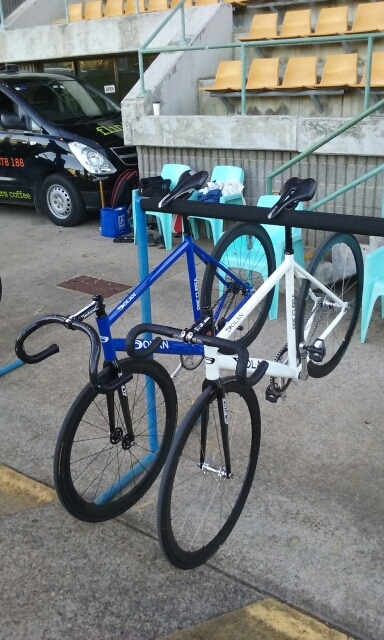 That left me wondering whether 56 cm was really the right frame size for me, or whether I was better off on a 54 cm frame. 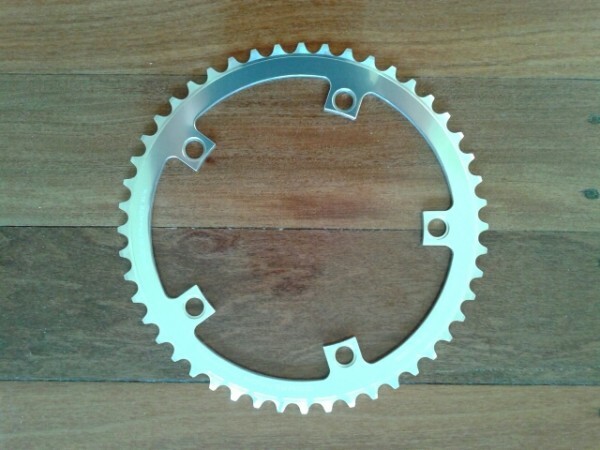 This is particularly so for track frames, where a size smaller than used on a road frame is often recommended because the steeper seat tube angle lengthens the effective top tube length. 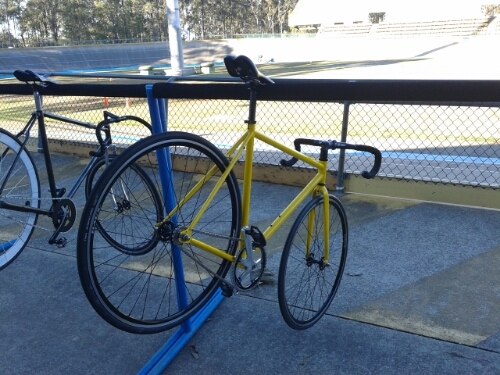 I therefore took the opportunity to hire a 54 cm track bike. 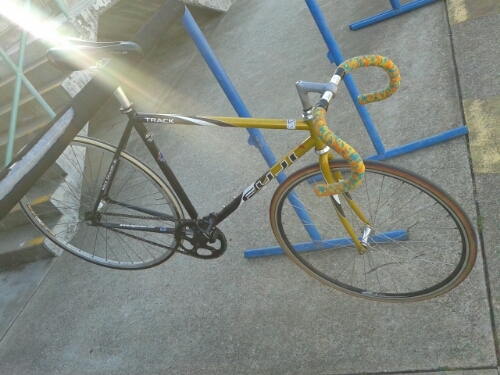 I was given this 54 cm Fuji Track bike for the training session. 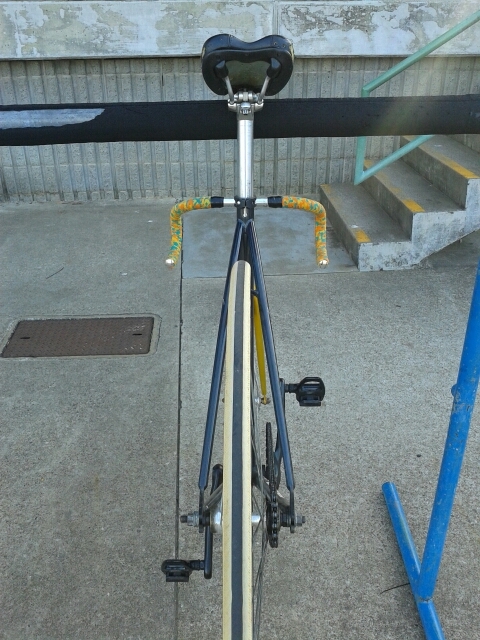 The bike was running 48/15 gearing. 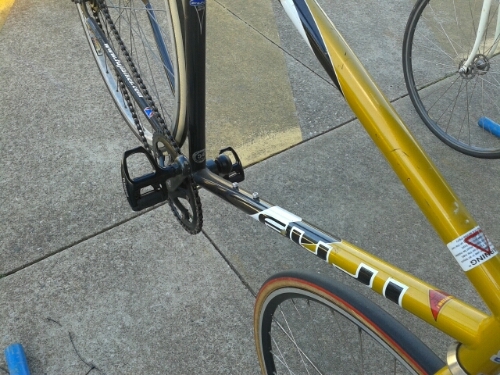 Even though the Fuji Track was a steel frame, it was quite acceptable for a beginner bike. I noticed that the wheel axel bolts had not be cut so that they did not protrude through the nuts; nor had the bottle cage bolts been removed or taped over. 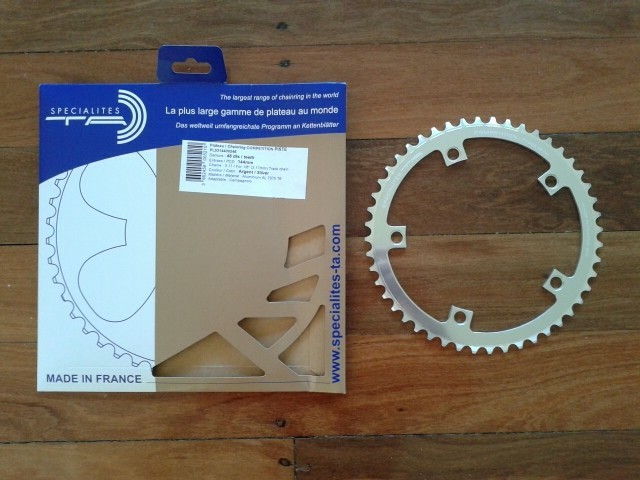 I was expecting to have to do these two things to get my own bike on the track. 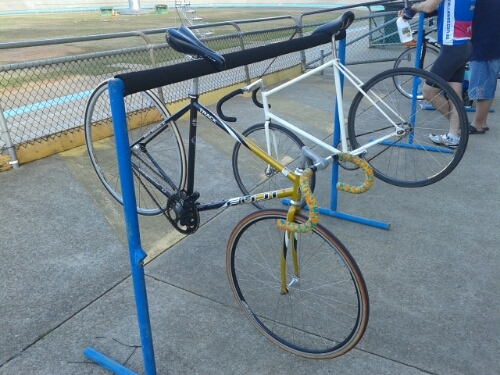 Photos of the 56 cm and 58 cm Chandler Velodrome hire bikes are here. 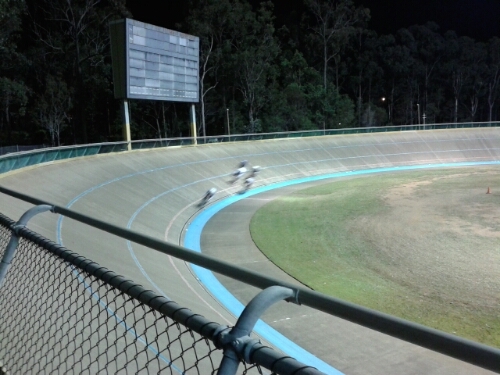 This entry was posted in Bicycles and tagged Chandler Velodrome, Cycling Queensland, Fixed Gear, Fixie, Fuji, Fuji Track, Repsych, Repsych Cycling Development, Velodrome on 12 August 2014 by Rex.